Toys R Us is set to close or sell each of its more than 700 stores in the US. It officially filed liquidation papers with US Bankruptcy Court on Thursday after filing for Chapter 11 bankruptcy protection in September. The decision threatens the jobs of the 33,000 people employed by Toys R Us. Toys R Us officially filed liquidation papers early Thursday. The liquidation puts into question the status of the 33,000 workers Toys R Us employs across its stores and Wayne, New Jersey, headquarters. Their jobs are safe for at least 60 days, according to the filing. In a conference call with employees on Wednesday, CEO David Brandon blamed some of the downfall on a devastating holiday season, when sales were less than half of the $US600 million usually made in a year. Vendors scaled back shipments to the struggling chain during the holiday season, and shoppers went elsewhere. Brandon said in the call that these vendors and shoppers “will all live to regret what’s happening here,” according to The Wall Street Journal. There’s still some hope, however, that some 200 of Toys R Us’ top-performing stores could live on in a different form, according to CNBC. The company is reportedly seeking a buyer for them, along with its Canadian stores. “I have always believed that this brand and this business should exist in the US,” Brandon said on the call with employees. The chain’s UK arm announced plans to liquidate its business on Wednesday as well, and it will close its 100 stores over six months. Stores in France, Spain, Poland, and Australia will also liquidate. The company will seek a buyer for its Central European and Asian stores. 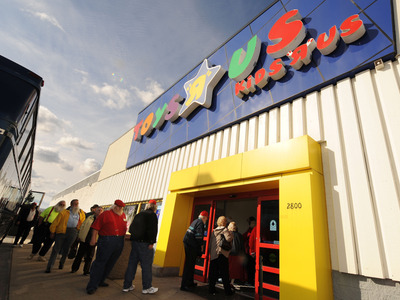 Toys R Us filed for Chapter 11 bankruptcy protection in September. The goal was to renegotiate the company’s $US5 billion debt load, which it has carried since a leveraged buyout in 2005. The company has also been slow to adapt to changing retail trends, like sales primarily driven by e-commerce and in-store innovations.